It won’t be wrong to say that Pokémon Go has created a revolution in the world of online gaming. Statistics show that the number of online game players have increased at least twofold since this game was first launched. The number of downloads of this game has greatly surpassed the downloads of very popular applications like Snapchat, Instagram and surprisingly even Tinder. The game created by Niantic has greatly engaged not only the youth of the world but the older generation also seems to be studying up and deciding between Team Valour, Team Mystic and Team Instinct. Ever since the game has been launched, it has been making news because of some reason or another. Here is a list of the bizarre things about Pokémon Go. 10.Four Muggers in Missouri Used the Game to Lure Players In. Pokémon Go just created history for giving birth to the most inventive crime ever. Four muggers in Missouri set up lure points in secluded places. When unsuspecting players would walk in thinking of it as just another regular place jammed with Pokémon, they would strip the players off their personal belongings and mobile devices. 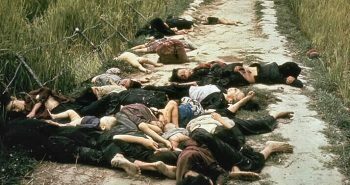 There were 11 victims who were looted in this manner. But what the muggers probably think about is that they were using a GPS operated game to commit the crime and the same GPS is what helped cops to track them down. Smart? I think not. When something starts becoming a trend each and every person starts wanting it and finding innovative ways to get it. The same thing happened with Pokémon Go. When the game started earning its well-deserved popularity, people all over the started finding new and new ways of downloading it when it wasn’t even launched in their continent. The games had a million downloads when it was only launched in the US. 8.You Not Only Find Pokémon but Also Dead Bodies. A nineteen-year-old girl literally stumbled across a dead body in the Wind river in Riverton, Wyoming when she was going after Pokémon. Just like every other trainer, Shyla Wiggins was out in the town catching Pokémon when she reached the Wind river and saw a body afloat. Let’s just pray we find Pokémon and only Pokémon. 7.Dedicated Trainer or Insensitive Father? One cannot decide if this is insanely funny or just downright insensitive. A man posted a picture on social media that went viral in the blink of an eye. The picture showed his wife in a maternity home ready to give birth and a Pidgey that was under her bed which he aimed at catching. It won’t be wrong to say that the world is obsessed with the game. 6.You Might Just Meet Your Significant Other. When the Pokémon Go fever hit the world, the downloads of the best dating applications started to fall significantly. Tinder saw a downfall in the number of users overnight. Teens have taken the dating game to a whole new level. 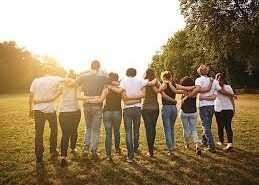 The game has been getting more and more people out of their homes and into the streets and that is how teens are meeting people and making friends and also going out with people with common interests. We all know what the first date will be like! 5.Uber Business is on the Rise. 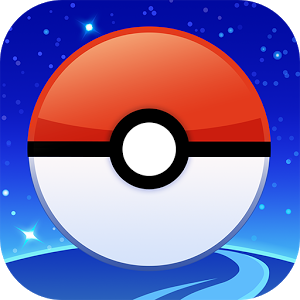 The game involves walking around and catching Pokémon in augmented reality. Just when Pokémon Go had begun to look like the ultimate assassin of obesity, the extremely lazy players have come up with a way to catch Pokémon and still remain sweat-free. Uber cabs noticed a substantial hike in the number of customers a few days after the game was released. Seemingly, players are going around town in cabs in order to catch Pokémon. Cab drivers have been just driving these game-crazed teenagers around town to no particular destination whatsoever. When the game was first launched in the United States on the sixth of July and made available on Android and iPhone, the users had to sign in with their Google accounts. Due to certain flawed security settings, the game makers had complete access to all the account information of the user. This meant that they could access everything from your mail, pictures and documents to all the accounts linked to your Google account. When brought to notice of the game makers, an update was released which now only gives access to basic information like the name, email address, etc. of the Google account holders. These adorable monsters, namely Pokémon could be hiding everywhere and a dedicated trainer will leave no stone unturned in trying to catch it. People have taken the task of catching Pokémon a little too seriously for the liking of the cops. Many incidents of trespassing have come to light and the police is seemingly agitated about it. The Police Department of Phoenix, Arizona put up a warning on their Facebook page, stating that the act of trespassing will not be tolerated and offenders will be punished. The post also asked the players to not drive and catch Pokémon at the same time, an act that has been leading to several accidents. 2.Pikachu Visits the Grave of a Deceased Pokémon Lover. A man went to visit his dead brother’s grave who used to be a huge Pokémon fan. The deceased was apparently such a Pokémon lover that he has a Pikachu on his grave. When his brother visited the grave, and was playing Pokémon Go, he found the cutest visitor, a Pikachu, sitting there. We could call this coincidence or homage to a great fan. Don’t such things make you believe in God? 1.Taking the Game to a Whole New Level: Drones. This is, I think the most bizarre thing one can read about Pokémon Go. Those who thought hailing a cab for catching Pokémon was too much, hold your horses. A teen, definitely an avid gamer, and probably not much of a fitness lover, used a drone to go about capturing Pokémon. But when he posted pictures of his drone setup on the internet, people called him lot of names and accused him of cheating. Cheater or not, he definitely stepped up the game. Pokémon go has indeed created a havoc in the field of gaming ever since it was released and will most probably keep doing so. One can just wait and watch because the world has to definitely catch ‘em all.